Eventually picked Chirrut over the January sale. Happy to pick it up for just over £200. Very impressed with it, better than I thought it was going to be. Just aqquired these 2 bad boys, absolutly beautiful for my 1st ever dip into the 40th anniversary line. chiffy wrote: Just aqquired these 2 bad boys, absolutly beautiful for my 1st ever dip into the 40th anniversary line. I a big fan of this range, picked up the last of the full 12 for xmas. If you want to keep them safe I would recommend the deflector case which I picked up from tosche traders. Just putting a set of these together myself. Great line and a lovely nod to the first 12. Going for the UK cards ATM. 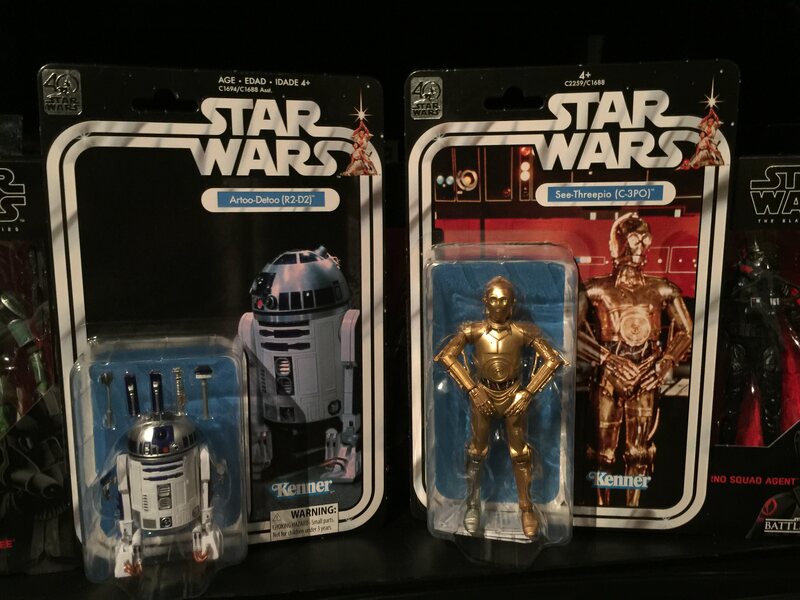 R2 and Han are a little tougher and pricey to find compared to the rest, but finally found R2 in a bulk buy for a decent price. Once the UK collection is completed I'll start on a US set. Latest Addition to my Hot Toys Collection, K-2SO.